Home Lifestyle Make your own colored seed balls! Colors brighten as they dry. 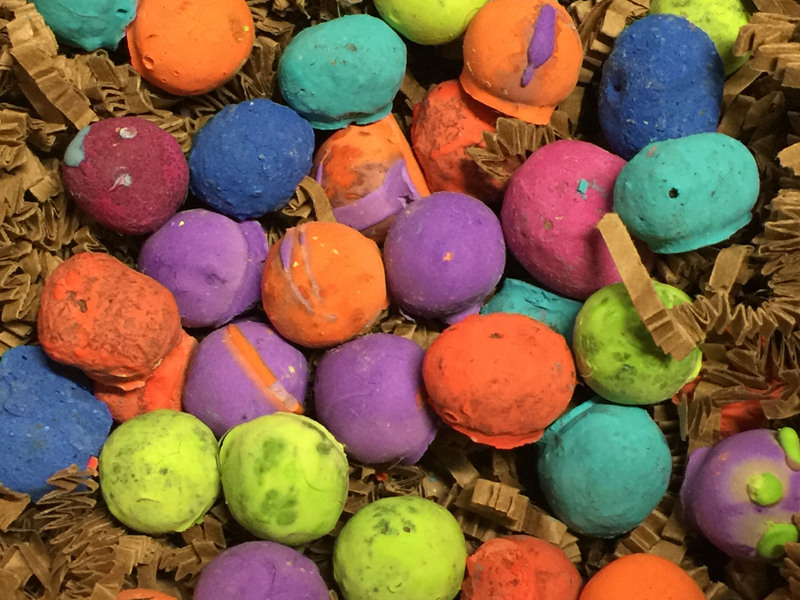 As exciting as seed balls can be, they can appear a wee-bit drab. 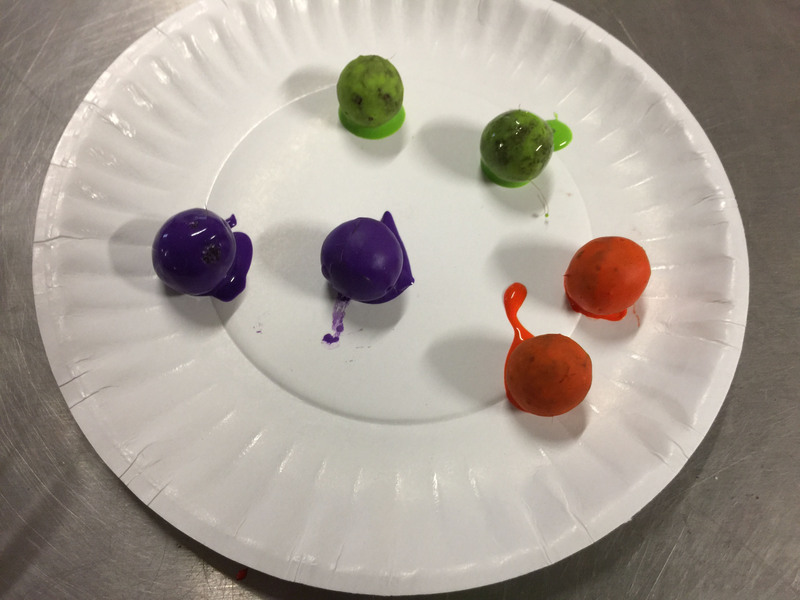 Here’s a quick and simple way to color your own seed balls from easy to find groceries. Prepare several cups or bowls with a small amount of milk and starch. 1 part milk to about 2 parts starch. Mixing with a fork works well because it breaks up the clumps. You don’t need a lot. 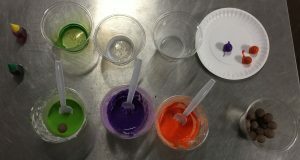 About 1/4 cup mix for each color. The consistency should be that of honey. Adjust by adding more milk or starch. 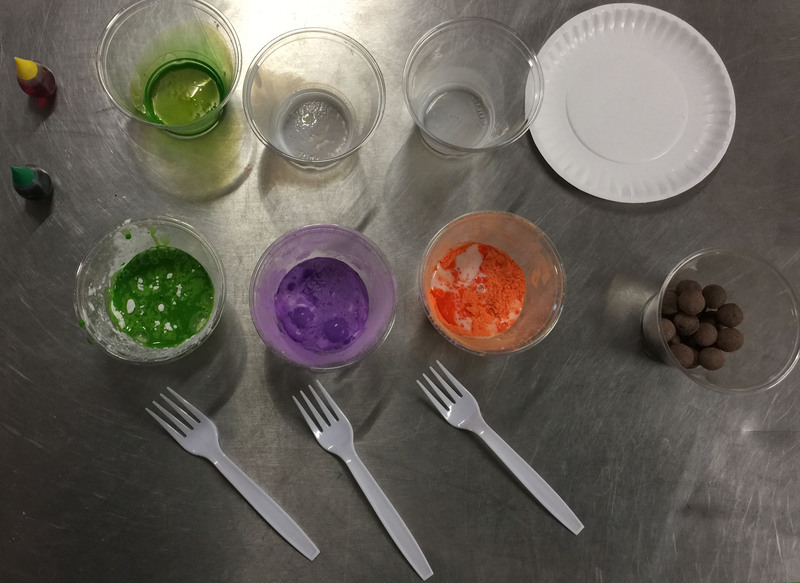 Add ample food colors to each cup. The color will lighten up considerably when it dries, so GO BOLD! 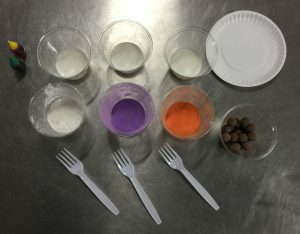 Plop a seed ball into one of the cups, count to 5, and lift it out with the fork, allowing excess seed ball color to drain away. Place on wax paper to dry. Go with simple color combinations or things can get muddy. Add stripes, and layers of color with a small paintbrush. 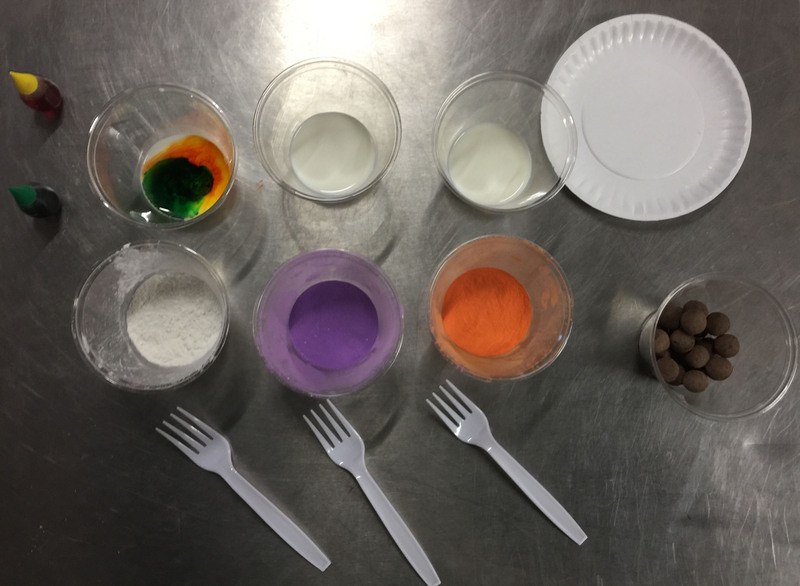 Use dyed starch Holi powders and milk for super intense colors instead of food color. These are the same powders used for ‘Color Runs’ and are available at many online retailers. 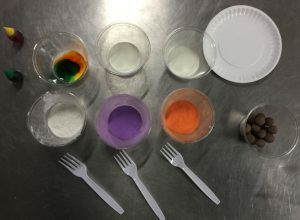 Mix 1 part milk : 2 parts Holi powder. Hover over image for steps. 1 part milk (dairy, soy, or almond) : 2 parts corn starch or holi powder. Drop dry seed balls in and fish them out when covered.